Ba Ria-Vung Tau (VNA) - Nam Kim Steel Joint Stock Company has approved a report on the pre-feasibility study, conducted for setting up a steel sheet factory in the southern province of Ba Ria-Vung Tau. As per the plan, the plant will require an investment capital of 2.2 trillion VND (97 million USD) and have the capacity of 800,000 tonnes per year. The factory will produce galvanised steel sheets, galvanised aluminium sheets, zinc-coated aluminium-coated sheets, zinc-coated sheets, steel pipes, steel boxes, sections and products from steel coil, cold-rolled steel, galvanised steel, black steel tape and galvanised steel tape. Nam Kim Steel JSC’s board of directors (BOD) has authorised Ho Minh Quang, Chairman of the Board of Directors, to determine a location in the southern province for the project, based on the scale of production and business activities, and to sign land lease contracts and contracts related to infrastructure investment. In the first six months of 2017, Nam Kim Steel posted an output of 380,000 tonnes, a year-on-year increase of 7 percent. 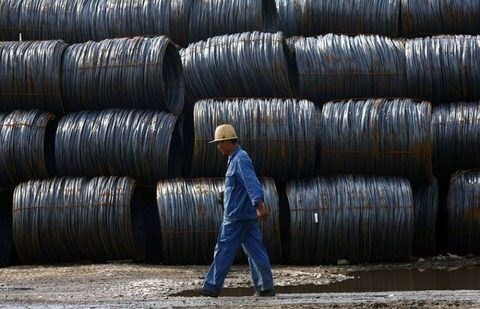 Specifically, its output of iron and steel products went up by 21 percent compared to the same period last year.